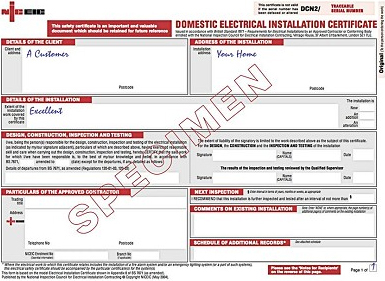 If you are a landlord and you need to rent out your property you may need to certify the electrics in your property to ensure that they come up to standard. A Periodic Inspection Report (PIR) is an electrical test on the condition of the electrical wiring, installations and electrical connections such as ‘accessories’ light switches and electric sockets within a property. A Periodic Inspection Report (PIR) may be recommended every year or every 2 to 5 years depending on the age, use and condition of the building.